Look at this classic episode of Soul Train. You have two of the biggest talents that came out of Detroit. Child hood friends the legendary King of Motown Smokey Robinson and the iconic Queen of Soul Aretha Franklin. They are singing an old Smokey Robinson & The Miracles hit, while Aretha is playing the piano. 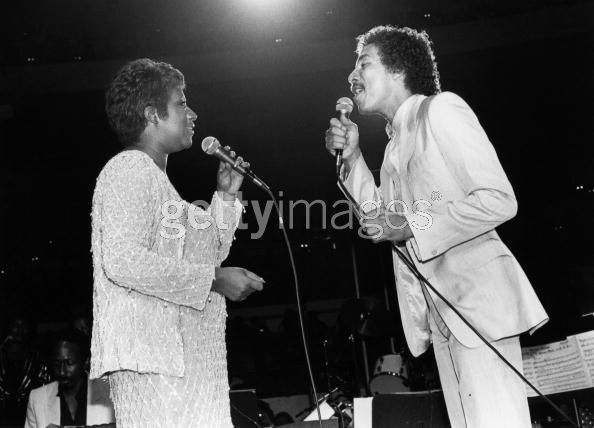 Aretha is as cool as ice and Smokey as smooth as butter on this little duet. It is hard for me to believe that they never recorded a song together. If they did, I'm sure it would have been a classic lovers ballad duet. The chemistry between these two are also amazing. Me too! Isn't it great?